Awesome! 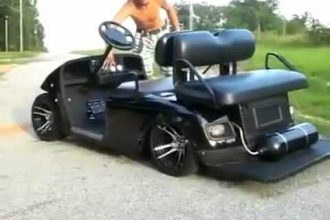 Pimp My Golf Cart! Bang! Car Loses Left Tire And Knocks Someone Cold!